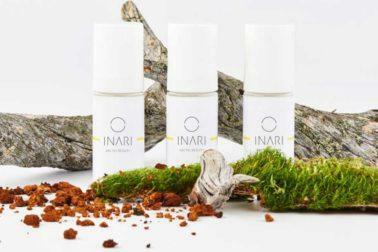 INARI Arctic Beauty is a high-quality skin care line powered by Arctic ingredients. While the brand is global, the products have a Finnish spirit. Thus, a natural production partner was Teampac – a top-level contract manufacturer, specialized in natural cosmetics. INARI Arctic Beauty is a new, selective cosmetics brand, created by the Finnish-German duo Sirkku Hahn and Nina Stenberg. The women reside in Munich, but their roots are in Finland. “We share a mutual love for the Arctic nature of Northern Finland,” says Hahn. 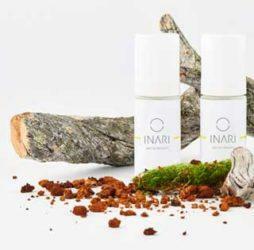 The INARI Arctic Beauty products are Finnish at their core. “The essence and power of our products come from the pristine nature of Northern Finland, its potent plants and herbs and the cleanest air in the world. That’s why it was very important to us to have the products manufactured in Finland,” Hahn says. The pair behind INARI Arctic Beauty wanted to find a manufacturing partner who understands the demands of natural cosmetics. “Product safety is the key factor of our production process, no synthetic preservatives are used in our products. Teampac has the expertise we need. They also make products for healthcare, so we can count on the very high standards of their manufacturing process,” says Stenberg. “We were also impressed by Teampac’s customer-centric approach. It has been great to witness how they genuinely believe in our business. The cooperation has been a real success. Having Teampac as a strategic partner provides us with the security to promote INARI globally and develop new arctic cosmetics products for the collection,” Stenberg says. According to Carl Fagerudd, Teampac’s Sales Director, Teampac’s business is based on responsible and long-term partnerships with brand owners. In addition to cosmetics, the company specialises in the contract manufacturing of hygiene and healthcare products. “It’s also very important to us that all INARI Arctic Beauty products are manufactured in a facility that’s certified with the highest European production standards GMP ISO 22716, ISO 9001, Nordic Eco Label and COSMOS,” Sirkku Hahn concludes.